Mezco takes a break from superheroes and introduces an all-new license to their One:12 Collective. 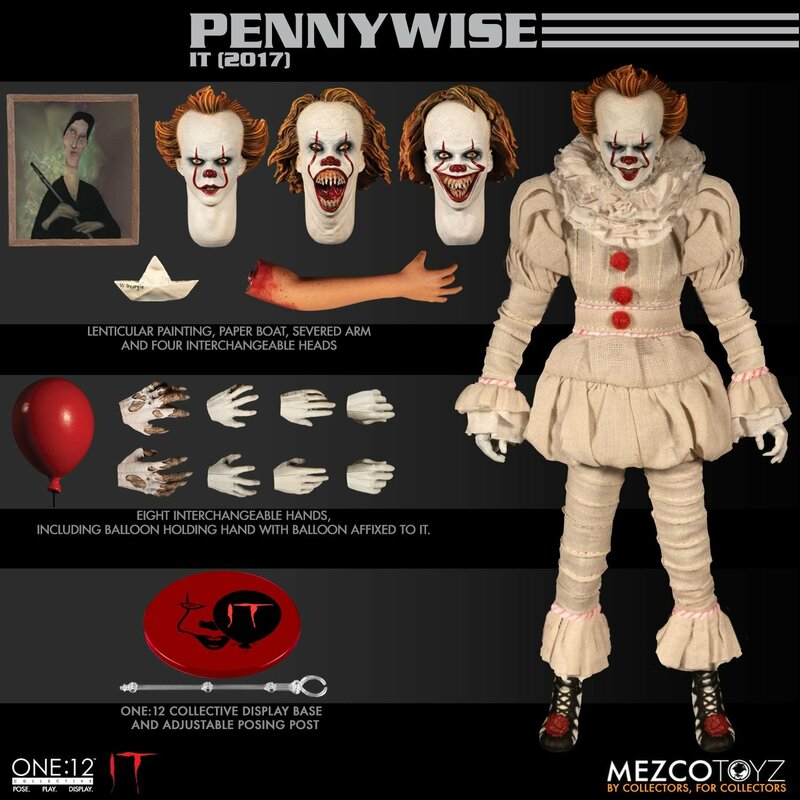 Presenting Pennywise from 2017’s hit horror film IT! The figure is priced at $100 and is scheduled to ship between Sept – Nov 2019.